Dr. Jeremy Cummings is the principal scientist and CEO of Cummings Scientific, LLC, he has over 17 years experience in the areas of forensic and scientific analysis. He specializes in biomechanical analysis, injury causation, human factors, low-speed impacts, slip and fall accidents, motorcycle accidents, pedestrian accidents, bicycle accidents, visibility analysis, seatbelt and airbag analysis, human falls and accident reconstruction. 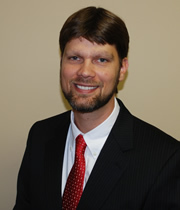 He has extensive testifying experience and works for both the plaintiff and defense. Accredited Traffic Accident Reconstructionist Accreditation Commission for Traffic Accident Reconstruction (ACTAR), #1465.